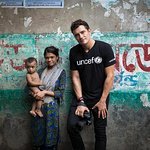 Orlando Bloom is supporting a new book written by his mother to encourage children to help save Britain’s endangered butterflies. Crystal, The Small Miracle is a children’s book written by Sonia Copeland Bloom to benefit the organization Butterfly Conservation. This is a unique story about the amazing journey of a tiny caterpillar as it battles for survival in a dangerous world. A captivating tale follows the life cycle of a butterfly as accurately as possible and is aimed at introducing young children (4 to 7 year-olds) to the wonders of the real world of butterflies and moths. The book also includes activity ideas for teachers and families, as well as tips on how to rear caterpillars and how to manage your garden to help these beautiful insects survive. 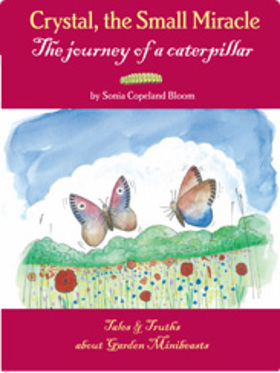 “The transformation of caterpillar to chrysalis and then butterfly is one of nature’s greatest miracles,” said Sonia. "After witnessing it myself, I wanted children everywhere to share this incredible experience. Find out more at Sonia’s personal website, or at the official Butterfly Conservation website.